Cyanogen, Inc. - Distribution Model & the "Third Platform"
The team behind CyanogenMod, one of the most popular custom variants of Android, has just raised $7 million in Series A funding and is on the road to becoming a true business - Cyanogen, Inc. Let's take a brief look at their stated distribution model, monetization strategy and potential to become the "third platform". The company's immediate goal is to simplify the firmware installation process. They hope to accomplish this through an installer that will be made available via the Google Play store. Along with increased device support, this should help them reach more users. However, this still limits the product's appeal to the early adopter and technology enthusiast community. The founders also stated their desire to pre-install their firmware on OEM devices and claim to have at least one partnership in the works. This is the strategy I have some trouble understanding. At this moment, OEMs really don't have any motivation to opt for cyanogen's firmware over stock Android. Both are available for free and both offer no potential for differentiation. As a result, large OEMs are unlikely to abandon their development efforts on custom Android skins in favor of CyanogenMod. One possible solution is for Cyanogen to pitch themselves as an outsourced Android development center for smaller, regional OEMs. This would help small OEMs reduce costs (crucial at this stage in industry evolution) and may help Cyanogen reach scale. Of course, this assumes that they can get access to Google services, which the founders seem fairly confident about. As the founders and investors have stated, their primary concern is scale, not monetization. Once they reach scale, they could follow a Xiaomi-like, services-based monetization model. Of course, it is no easy task to build services that appeal to consumers, but the size of the investment tells me that there is a plan in place. With scale being one of their primary goals, the Cyanogen team has floated the idea of becoming the mythical "third platform", after Android & iOS. 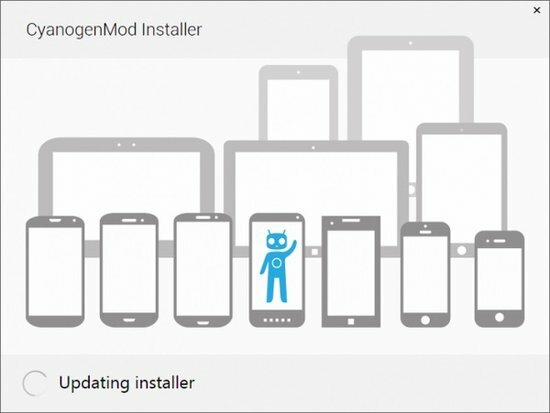 Cyanogen claims to have 20 million active users at this point, comparable to Xiaomi and potentially larger that Windows Phone. While I believe they can expand their footprint, I don't see any reason why they should be defined as a separate platform. Cyanogen and Xiaomi develop customized, but fully compatible, versions of Android, and their business models are built on top of the existing platform - Android. That doesn't make them a separate platform any more than it does TouchWiz or HTC Sense. However, talking about being the "third platform" has grabbed the attention of the tech media. In that sense, it may have been a very smart move to pursue that angle.